SITEMAP | GOOGLE | LINKS | UPDATES | BLOG | EMAIL | $Donate? 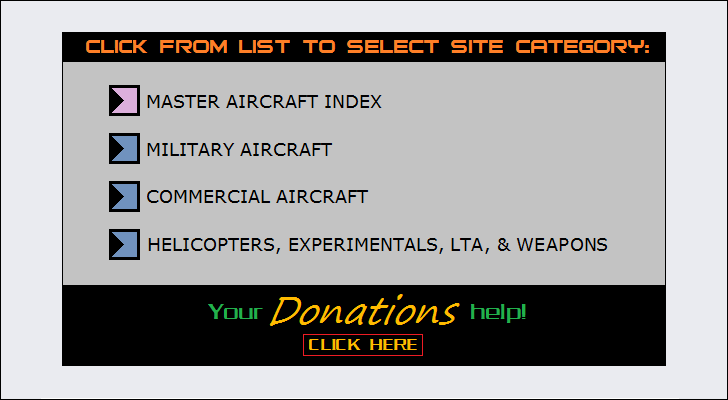 * AirVectors is a website with technical writings on military and commercial aircraft of the past and present. All written materials on this website are the work of Greg Goebel; all images on this site marked "GVG" are also the work of Greg Goebel, and are free for all use. Top and bottom menus provide navigation -- including sitemap, updates, and Google search. For ongoing updates, follow gvgoebel on Twitter. "[Arthur Dent] learned to communicate with birds and discovered that their conversation was fantastically boring. It was all to do with wind speed, wingspans, power-to-weight ratios, and a fair bit about berries."